LG has shown off a new OLED TV at this years CES, although this one is a little different than your standard HDTC as it features a curved OLED screen, and offers supports for Cinema 3D. 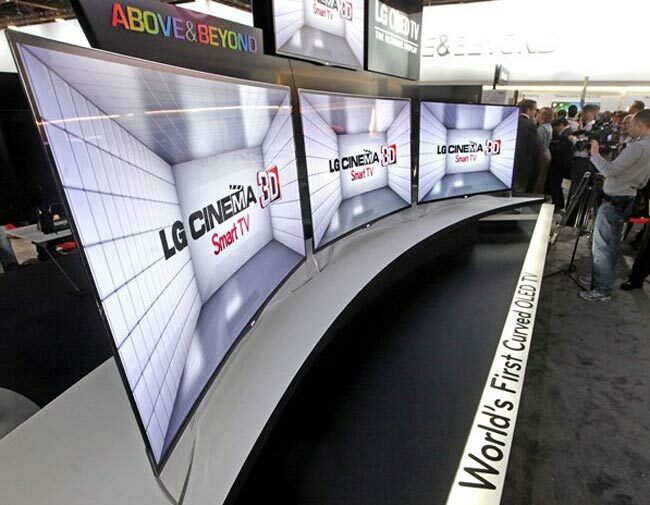 The LG EA9800 features a 55 inch curved OLED display, and it uses proprietary WGRB technology, with a four color pixel system which includes a white pixel as well as the standard red, green and blue pixels. LG has not given any details on when the new LG EA9800 will be available, there are also no details on pricing, although we suspect this could be quite an expensive device when it is launched, as soon as we get some more information we will let you guys know.